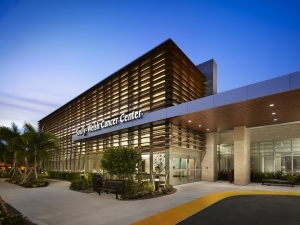 Scully-Welsh Cancer Center, designed by Array Architects, was recognized as a Bronze winner by Modern Healthcare’s 32nd annual Design Awards. Recipients were recognized for two major industry trends: building flexible spaces that can withstand dramatic changes to the healthcare delivery model and re-connecting patients and their providers to nature in environmentally-friendly facilities. Facilities that received awards not only incorporated nature into the building’s design but also extended the facilities into the outdoors to benefit patients, providers and the greater community. At Vero Orthopedics & Neurology, our doctors are the experienced experts in providing exceptional orthopedic and neurologic expertise and care to Vero Beach, Sebastian, and the surrounding areas. Offering specialized, compassionate treatment for bone, joint, muscle, and neurological injuries and conditions, we are dedicated to getting you back to your active lifestyle, because you can. Vero Orthopedics & Neurology has the strength of experience to keep you moving. Dr. Peden specializes in arthroscopic surgery and in the treatment of conditions involving the shoulder, elbow, hip, and knee. He received his medical degree from the University of Florida. He completed an internship in general surgery at Orlando Regional Medical Center and his residency training in orthopaedic surgery at the Mayo Clinic. He went on to complete a dual fellowship in arthroscopy and sports medicine at Mississippi Sports Medicine and Orthopaedic Center in Jackson, Mississippi, where he was the team physician for Mississippi Valley State University. Prior to medical school, Dr. Peden taught English in Japan for over two years, and he continues to support education endeavors in the field of medicine. Dr. Peden is actively involved as an associate master instructor for the Arthroscopy Association, teaching advanced arthroscopic techniques to training orthopaedic residents and practicing surgeons at their prestigious Orthopaedic Learning Center in Chicago. He has co-published chapters in three text books on the arthroscopic treatment of the elbow. Dr. Peden did my Rotator Cuff surgery. I was amazed at the short rehab time and the almost total absence of pain. Somehow we were able to get Dr. Peden to leave Mayo for Vero Beach. We are very fortunate to have a Doctor of this caliber in Vero Beach. Don’t be fooled by his teenager looks.He is wise beyond his years. People come from all over the world to have Dr. Peden work his magic on them. DIPLOMAT AMERICAN BOARD OF ORTHOPEDIC SURGERY FELLOWSHIP TRAINED SPORTS MEDICINE AND ARTHROSCOPY. Here in Florida, Dr. Peden serves as an assistant clinical professor for the Florida State University College of Medicine. He has brought several arthroscopic and endoscopic techniques to Indian River County not previously available, including femoroplasty for impingement of the hip, coracoclavicular ligament reconstruction for the shoulder, endoscopic decompression for entrapment of the suprascapular nerve, and arthroscopic radial head excision for rheumatoid arthritis of the elbow. Dr. Peden is a member of both the Arthroscopic Association of North America and the American Orthopaedic Society for Sports Medicine. He is an instructor of arthroscopic surgery on a national level and has published in peer-reviewed journals and books. When he is not seeing patients, Dr. Peden is an avid blues musician and enjoys windsurfing and sailing.